They often say ‘never to judge a book by its cover’, that initial external appearances can distort or even deceive the audience from the content that lies within. Well, it must be said that this principle doesn’t apply here. The Shareholder Value Myth by Lynn Stout attempts to achieve exactly what the title entails: a pure and straight forward critique of the belief that the ultimate purpose of business is to maximise shareholder value, which dominates modern business management. Author Lynn Stout is Professor of Corporate & Business Law at the Cornell Law School where her main areas of research include corporate law, securities and derivatives regulation, economics, and organisational behaviour. Stout argues that the Shareholder Value ideology is ultimately just an ideology, not a legal requirement or a ‘practical necessity of modern-day business life’ (p3). In this sense, Shareholder Value thinking is a mistake for most companies because it indirectly forces corporate managers and executives to ‘myopically’ focus on short-term earnings at the expense of long-term stability and performance. It also ‘discourages investment and innovation, harms employees, customers, and communities; and causes companies to indulge in reckless, sociopathic, and socially irresponsible behaviours’ (p10). The book is written clearly and concisely, predominantly using direct rhetoric and short sentences. In terms of structure, the book is broadly divided in two comprising parts: Part 1 is a direct attempt in ‘Debunking the Shareholder Value Myth’ while Part 2 is mostly an investigative endeavour into who the ‘shareholders’ are and what they actually value. Each part is made up of five shorter Chapters so let’s take a closer look into some of the main points and arguments made throughout the book. The first half can be seen as a systematic critique of the means and (even disastrous) consequences of ‘shareholder value thinking’. Corporate scandals such as the 2010 BP Oil Spill and cases of serious fraud in large companies such as Enron, HealthSouth and Worldcom throughout the 2000s are all cited as consequences of shareholder value thinking. Professor Stout makes a compelling case that the ‘narrow’ focus on share price alone can result in ruthless management behaviour. The drive for extreme cost-cutting in the hope of increasing short term profit doesn’t just hurt the employees and the company, but the shareholders themselves. The book provides a brief historical account of how shareholder value thinking came to dominate teaching in business schools as well as becoming the norm within the private sector itself. If in the 1800s most privately held companies were of single ownership (or a tight shared ownership), by the 1990s publicly held companies have tens of thousands of shareholders. 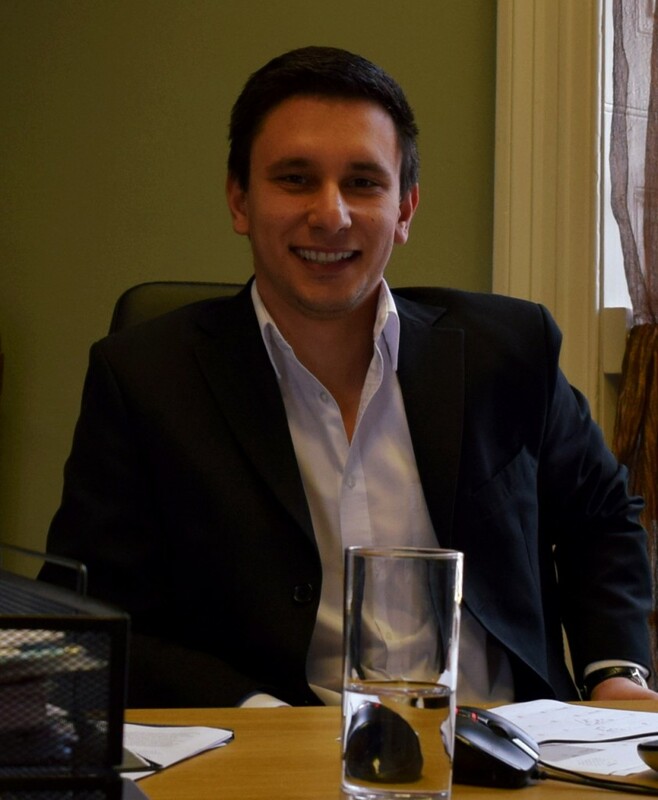 Stout rightly argues that this replacement of the ‘single’ ownership model with an executive Board to represent the vast number of shareholders causes the Board (as well as the senior management) to assume that all the shareholders want is ‘to make as much money as possible, as quickly as possible’. It rather quickly trickles down to the lowest common moral denominator, ignoring the fact that shareholders are real human beings with different investment timeframes, different priorities and different attitudes toward the well-being of others. In this sense Lynn Stout rightly argues that ‘recognising these differences reveals that the idea of a single objectively measurable “shareholder value” [i.e. solely based of share price] is not only quixotic, but intellectually incoherent’ (p60). The second half of the book turns its attention toward the shareholders themselves: who are they? And what do they want to get out of their investment? These questions in turn give rise to a clear dichotomy within a company’s pool of shareholders: ‘short-term speculators versus long-term investors’. Again, Lynn Stout rightly points out that ‘long-term shareholders fear corporate myopia. Short-term investors embrace it – and many powerful shareholders today are short-term’ (p65). The conflict of interest generated by short vs. long-term investors indirectly forces a company’s management to take the default position and assume that every shareholder is a ‘platonic investor’ – i.e. an investor that only owns shares in company ‘X’ and the share price increase is all that they are interested in. Lynn Stout argues that in reality however, this ‘platonic investor’ does not exist. The overwhelming majority of investors today own more than just shares in company ‘X’, they are invested in the marketplace as a whole and want to protect the value of their other investments also. In this sense, the short-term focus generated by shareholder value thinking can actually work against the interests of the shareholders themselves. The book as a whole presents a compelling critique of shareholder value thinking. Yet it’s strength is also its greatest weakness: it is just that, a critique –nothing more and nothing less. What are the solutions? The final pages of the book only tentatively touch on a possible way forward in arguing that what is needed is a more ‘complex and subtle understanding of what shareholders really want from corporations’ (p115). This all sounds great and very necessary but how do companies get there? Even if executives come to acknowledge the variations in their shareholder’s desires – is this a guarantee that the company’s approach to corporate governance will change? I have written on this topic in the past and while not dismissing in any form the arguments put forth in Lynn Stout’s book, it is crucially important that companies first internally establish a concrete set of ethical business values and practices. Only then will they be able to accommodate the desires of a large and diverse pool of shareholders. A great deal remains to be written on this topic and The Shareholder Value Myth by Lynn Stout is an excellent addition to the growing body of literature that forces us to re-think the role and purpose of business in our society. 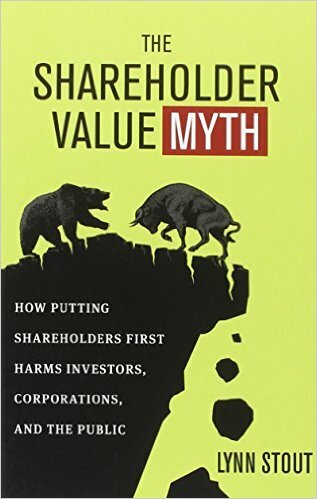 “The Shareholder Value Myth” was published in 2012 by Berrett-Koehler Publishers (ISBN 10: 1605098132). 134pp.